Known as automatic fly-ash brick making machine, our bricks making plant (rbm-15) has been proved to be highly efficient and cost effective in nature. We are renowned as an eminent bricks making plant manufacturer, exporter, and supplier in india. Speedtech System and Devices was established in the year 2008 in Delhi. The company has been swiftly growing in the industry, under the competent management of Mr. B. K. Chaudhary. 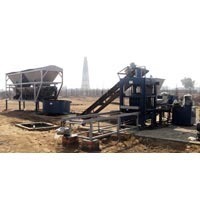 The company is thus renowned as a dynamic Manufacturer, Exporter, and Supplier of Construction Material Making Machinery, Bricks Making Plant, Electrical Control Panels, and Weigh Batcher in India.